When it’s time for business and homeowners to make the decision with hiring a professional pressure washing company. in this article we will go over what homeowners and business owners should look for when hiring professional pressure washing company. Nationwide Property maintenance is your premiere pressure cleaning company In Savannah, Pooler, Richmond Hill, and Rincon Georgia. It can be a very time-consuming task when hiring a professional pressure washing company, we have put together a few guidelines. Many factors and questions come to mind when it’s time to decide on hiring a professional pressure washing company to clean the exterior of your home or business. With the low cost of startup, you have many choices in the pressure washing industry. 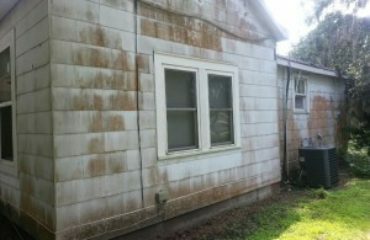 A start-up company can start a pressure washing business with less than $1,000 dollars. The pressure washing industry has no regulatory authority and the list goes on. Experience will be the first factor that we evaluate, this is the most beneficial when it comes to hiring a professional pressure washing company. This also helps gauge the level of professionalism of the company. 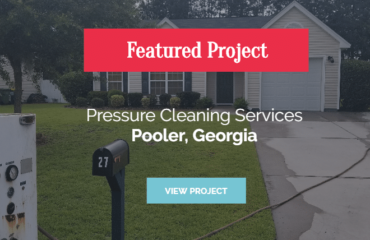 Again a pressure washing company does not gain experience with years, but with actual experience working cleaning commercial and residential properties. For example, Chatham Property Maintenance has only been providing pressure washing services both residential and commercial to the Savannah area since 2009. This doesn’t mean we have less experience than someone who has been doing this for 20 years. In 2013 we cleaned over 2,000,000 sq ft 1400-1500 homes without incident or complaints, let us just say we have a few satisfied customers. On the other hand, someone who does pressure washing only as a part-time job may only do 10,000 sq ft. 5-10 homes per year. The next is photos. With today’s technology, everyone has a smartphone. You can only blame yourself if you receive damage or a bad service from a pressure washing company. This is very simple for any company to achieve of course some companies have more before and after pressure washing photos than others. But every pressure washing company should have at least one. Even if they just started today they should be able to show you how they cleaned their own property. 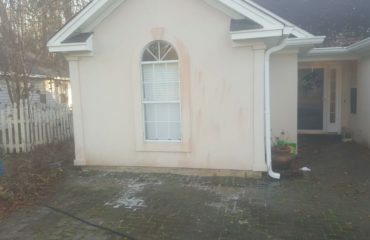 The damage that can be caused by not hiring a professional pressure washing company. AFTER I DROVE BY A GROUP OF HOUSES WITH THIS TYPE OF DAMAGE caused by not hiring a professional pressure washing company. Call Chatham Property Maintenance, LLC and take the guesswork out of hiring a professional pressure washing company. Once your pressure washer has reached the pressure required for a given combination of material and contaminant, more pressure won’t make the job go faster. What’s your maximum insurance ceiling? It can often happen that you may damage the roof while pressure washing it yourself, or may end up injuring yourself with the pressure cleaning equipment. Thanks for pointing out that too much pressure can damage a home while too little pressure won t clean it properly. used to raise bed vegetable gardening instead of common soil? 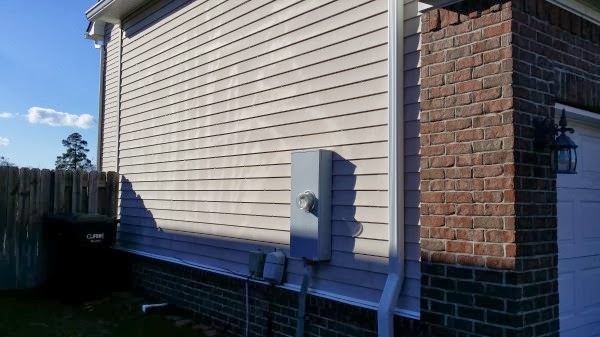 I’ve been curious about pressure washing, and I think that being able to get some information would be helpful. I’m glad you talked about being able to look for their professional equipment used for pressure washing. I’m going to have to look for some different local options and see what we can find! Thanks! Yes, professional equipment is key to providing safe, effective and efficient pressure cleaning services.